Discounted family rates (three people or more) available on request. 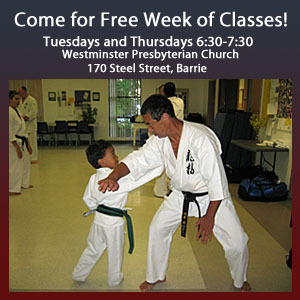 Come and Try a free week of classes! Please contact us if you are interested. When a student joins (and at the beginning of the year after that), annual fees are due, covering insurance and memberships in the government-recognized National Karate Association and Ryusei Karate International (headquartered in Japan). Although the amount varies according to the student’s age and rank, a child joining would pay an annual fee of $65.